In May 2018 my old Varsity invited me to give the 1st and 2nd-year students a talk about life after graduating. First of all, I would like to thank the head of the department, Lesley Caplan for inviting and allowing me to blab on about what I do and what I have achieved in the last – almost 6 years. 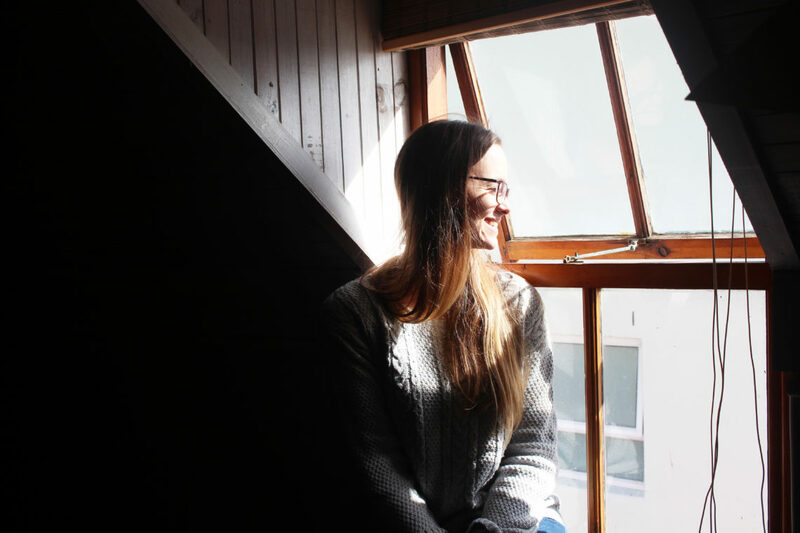 After working here for almost a year – I decided to resign and open my own little studio in Melkbosstrand, NikiDesign Studio– and this is still where I am today. City Varsity was one of the best choices I’ve made – It definitely shaped me into the person I am today. The varsity covers a broad spectrum in the design industry and opens up many doors for you if you would like the further your studies. As a designer you never stop learning – theirs always new software, trends, equipment that you need to follow through to run a successful business. Today marks 3 years and 3months running my own little design studio in Melkbosstrand – focusing on Brand Development, Photography, Web, and Videography – together with hosting workshops, trading at local markets and personal projects. 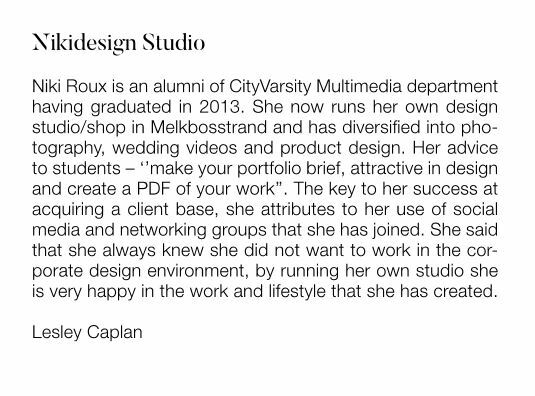 Thank you City Varsity – for this little write-up in their monthly newsletter. Tips and advice for running your own venture. Join networking groups: Get in contact with like-minded people in your industry interact and work with them. Follow, Like & Share: Join social media platforms where you can share your work, like and follow other inspiring creative. Stay motivated and up to speed with new trends and ideas.Create your own Facebook business page/business Twitter account/business Instagram account. These are the top platforms clients will view your work from. Community: Offer your services in your community. When starting out, this is a great way to connect with people – attend meet-ups and offer to do the design work where needed. Pro Bono: by doing a few projects at a low rate or Pro Bono can actually be really beneficial for your business – especially if you are just starting out. Make sure to add your logo or contact details to the work so potential clients will know where to contact you. Website: Have a good functioning website with all your prices shown (you want to keep your “can you quote me on this?” as simple as possible) you will find yourself going back and forth with clients if you don’t have a proper platform for the client to view your work and pricing.